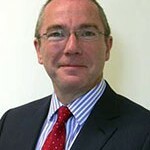 Professor Alistair Burns is NHS England’s National Clinical Director for Dementia. Here he explores the challenges and opportunities doctors can face in caring for patients with dementia. Dementia is a challenge for everyone. It affects about 800,000 people in the UK, a number which is set to double in the next 30 years. The number of people affected, however, can be two, three or four times that when you take into account the effect on carers and family members. Dementia touches people at a personal level, where it can change lives. Nearly half of people with dementia feel a burden to others and say they have lost friends, and the societal impact is significant with the cost estimated to be £26 billion every year. There is a stigma associated with dementia and for people over the age of 50 it is the most feared illness of all. Just over half the estimated number of people with dementia receive a formal diagnosis and, as such, are able to access the financial, emotional and practical help which follows. One quarter of acute hospital beds are occupied by people with dementia, who stay on average a week longer than people with the same physical problems but without dementia. Eighty percent of care home residents have dementia and one third of people die with dementia. While primarily a disorder of ageing, dementia affects younger people too – an estimated 40,000 in the UK – and it is increased in individuals with learning disability. And 80 percent of people with dementia have another long-term condition. Be Aware of dementia. In most specialties, we come across people who talk about dementia – even in a maternity unit, patients may talk about their grandparents. It would be good to know about the signs and symptoms of dementia (there is a good guide on NHS Choices) and become a dementia friend so you know some of the important myths surrounding dementia. Be Bold: Break the barriers between general practice and specialist services. GPs with their local memory clinic colleagues could think about innovative ways of working to break the barriers between general practice and specialist services. Forging innovative links with local memory services can facilitate early referral of people who are worried about symptoms such as memory loss which may be due to dementia. Gnosall in the West Midlands is an excellent example where the diagnosis and management of people with suspected dementia happens largely in primary care. We know that GPs can diagnose dementia in patients with established disease and much more of the care and, most importantly, post diagnostic support can and should happen in primary care. Things will not change overnight – diabetes used to be a condition which was the purview of specialist consultants but now most of the work around diabetes is carried out in primary care. Over time, I hope our response to dementia as a health system is as strong as the one which has developed for diabetes, with most care provided in the community rather than by specialists in hospitals. Be Curious: Read up on it. For people who want to know a bit more about dementia, there are a couple of booklets available from NHS England which summarise information about the condition in a digestible form. The dementia primer (“What you need to know”) is backed up by Dementia Diagnosis and management (“How to do it”) gives useful information on dementia. The issues surrounding, and the importance of dementia are common across the UK, with dementia strategies in Northern Ireland and Scotland and dementia guidance in Wales. Dementia is a challenge for everyone and increasing interest in this most pressing of clinical issues is to be welcomed. It has ramifications for the whole health and social care economy – if you get things right for dementia, you will get things right for everyone. This blog was first published on the General Medical Council website. The GMC has developed a new collection of guidance, tools and other resources to support doctors in caring for older patients. Find out more at Better care for older people.